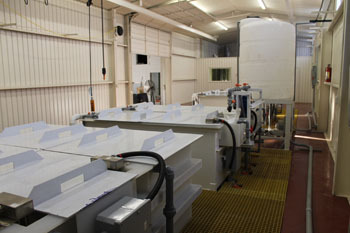 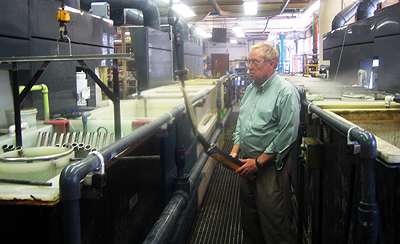 LeKem of Indiana has been building Electroless Nickel equipment for over 25 years. 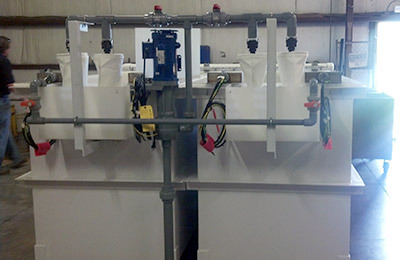 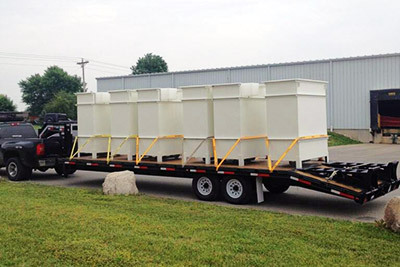 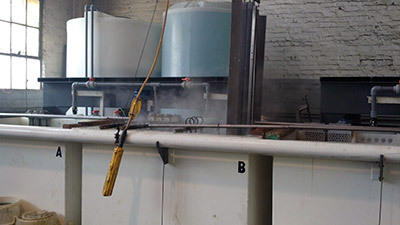 LeKem will customize a tank or whole line to your specifications.. With LeKem's system you will have the ability to transfer quickly, safely and eliminate Nitric acid from your lines and tanks. 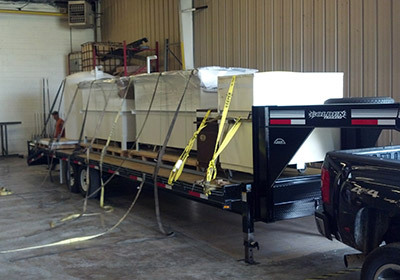 Most systems can do a complete transfer in 20 minutes! 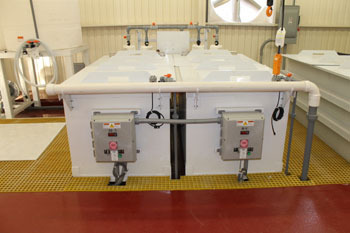 This is achieved from a unique system that uses gravity, your existing pumps and bottom plumbing built into the tanks. 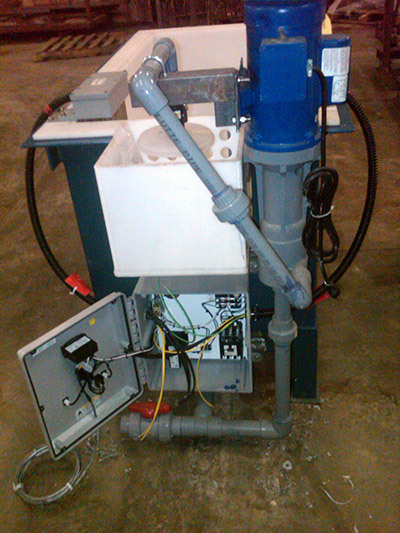 This system will increase your production, quality of deposit and save you on labor. 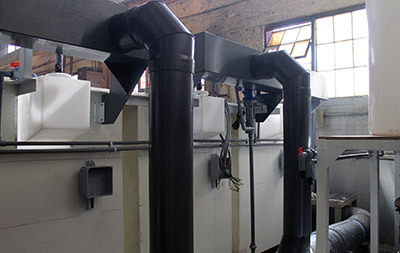 With LeKem's designs and chemicals you will have the most up to date Electroless Nickel technology available from small tanks to high production turn key plating lines. 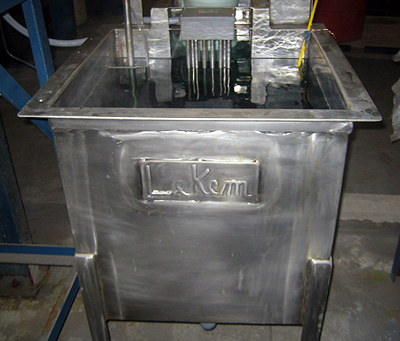 LeKem can build and install all your Electroless Nickel equipment needs. 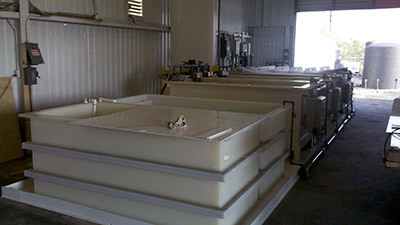 Click here for "before & after" pictures. 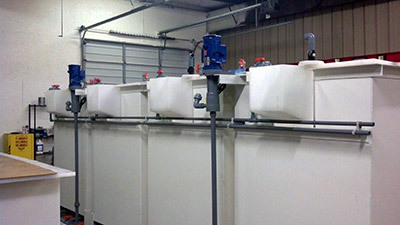 Click here to see a 450 gallon Electroless Nickel Line built and installed by LeKem, Inc from beginning to end.